For the last couple of years I’ve been a big fan of the Immortal Descendants series! It’s been really fun watching the series evolve and mature over the years! 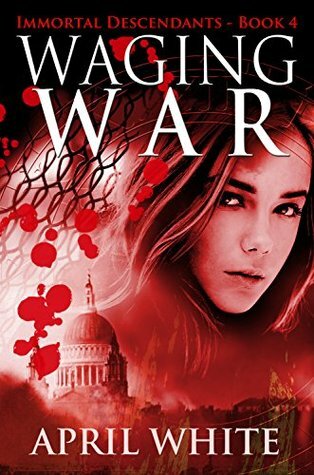 I love the main characters and the premise for the story so when Waging War came out I naturally agreed to review it! In the previous books, Clocker Saira Elian, time travels through multiple different periods to save friends, family, of course stop the Mongers from gaining power. This book is no different….this time we find Saira time traveling to WWII to try and stop a brutal massacre. Saira and her friend Ringo, travel back to WWII Bletchley Park to team up with vampire (and Saira’s love interest) to try and stop said massacre. Together they work to crack the Nazi code and expose a Monger traitor intent on changing the course of history. They also meet up with some new characters, one being a female commando from the French resistance, to hunt down an elite unit of Monger soldiers – Hitler’s Werewolves – before the terror squad can strike a fatal blow at the heart of the Allied war effort. This whole situation drags Saira, Archer, and Ringo into the London underground where they come face-to-face with the Monger assassin on a suicide mission to split Time. With the lives of all mixed-bloods in peril, Saira must make a sacrifice that even Time and love may never forgive. This has been an absolutely wonderful series full of complex plot lines and developing characters. As I’ve mentioned before in some of my reviews about this series, the first book does a great job setting the world up, covering the history and background, and the second and third books follows suit but with more action. This book is also similar in pattern……brief background and re-cap from previous books and then right into the action which I completely appreciate. It’s nice to have this formula because sometimes it’s easy to forget parts of the previous books and some people might pick this book up not knowing it’s a series…..I highly recommend NOT doing that but if you do then the author at least provides basic background so the reader isn’t terribly lost. I know I appreciated some of the recap from the previous book because I had forgotten some of the issues between the Mongers and Clockers and the ‘pure blood’ stuff. Then it’s also nice that the author doesn’t spend too long on the whole background situation and goes right into action because I like to get right into the story (especially a series) and White doesn’t disappoint! This book, like the others, starts with a lot of action! One thing I noted in the last book was that the relationship between Archer and Saira was kind of stagnant however in this book a lot of things change and progress. I won’t give away anything but I was happy that their relationship is evolving, changing, and progressing even in unexpected ways…..at least SOMETHING is happening now. The first two books a lot changed and progressed and then with the third book, nothing…..but this one will leave the reader satisfied. In this book we get more of Archer’s voice and I really really enjoyed that aspect and change in the series. It was nice to know how he thought of things etc. I really love Saira as a main character. She isn’t one of those leading ladies that ‘finds herself’ in the series……she already is so strong and knows who she is to begin with but as the book progresses she continues to build on those traits to become this great leading lady that many readers could admire. I love that the whole series isn’t about her’finding herself’ like so many of the YA novels are….it’s more about how she deals with adverse situations and how she continues to grow and mature into a young lady. I love that about this series. And can we talk for a minute about the attention to historic detail?! Every book takes the reader and characters to a new time period. Sometimes authors have a specific time period that they like to remain in….but in this book it’s almost impossible to stay in just one period. But sometimes authors have more historic knowledge about one period or another but for White……her historical knowledge period to period is phenomenal! I am impressed with her knowledge and attention to detail with each book! It’s clear that she does her research before sending her characters into a new ‘world’ or ‘time’. This series is a great fun to read. 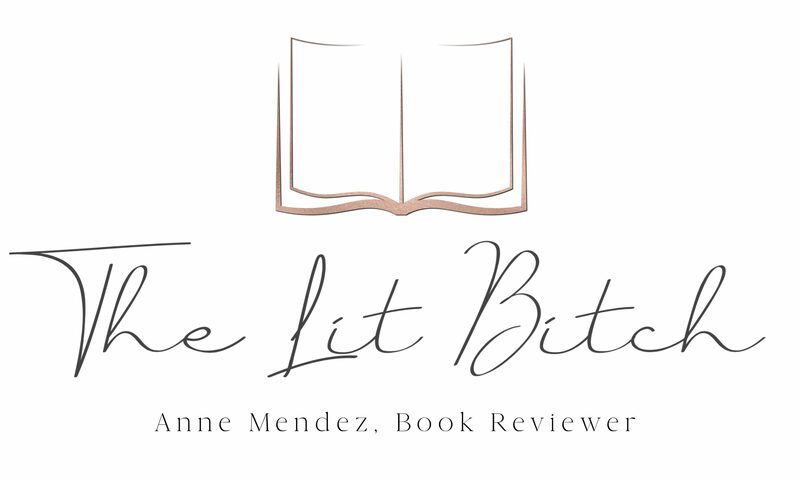 It’s a little YA, a little romance, a little supernatural, a little adventure, a little mystery, and a little historical fiction…..fans of many genres will find this series appealing. I always look forward to the next book and where Saira and her friends will end up next!